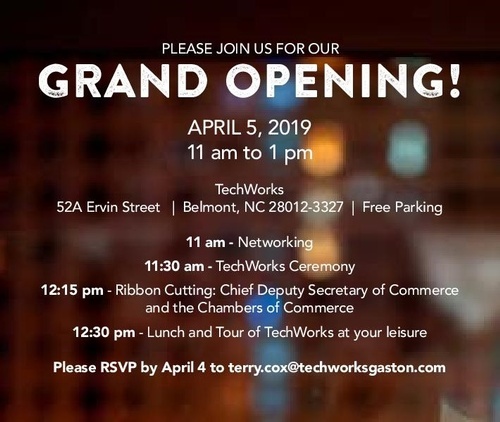 Join TechWorks of Gaston County in celebrating their Grand Opening! 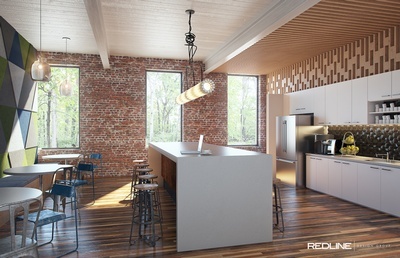 When it opens on April 5, TechWorks of Gaston County will provide a relevant, functional learning environment for gritty entrepreneurs with a passion for innovation and growth. Uniquely positioned within the region, TechWorks is focused on building sustainable companies, creating a tech talent pipeline, and offering “Digital First Aid”. The 14,000- square-foot facility will offer offices, co-working, conference and training rooms, a large convening/event area plus outdoor space. The Chamber will assist with a ribbon cutting ceremony scheduled for 12:15 p.m.